A unique, rustic table. Perfect for a log home or a mountain get away. Matching Shuffleboard also available. 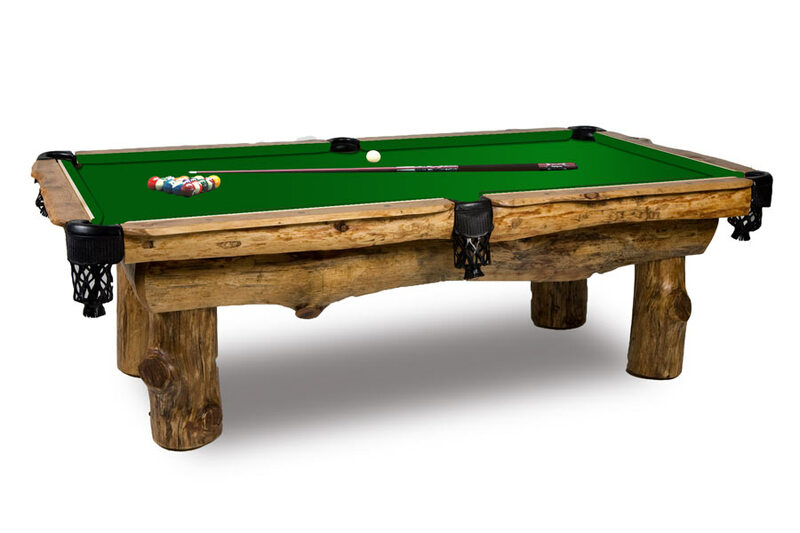 A one of a kind rustic pool table. Built to last a lifetime. Shown in a Medium stain. Drawer option available.